Custom plastic cards are perfect for setting company apart from the rest. Printed on 20PT thick plastic as credit cards, these full color promotional products are great tools for presenting a prospect with your business information. 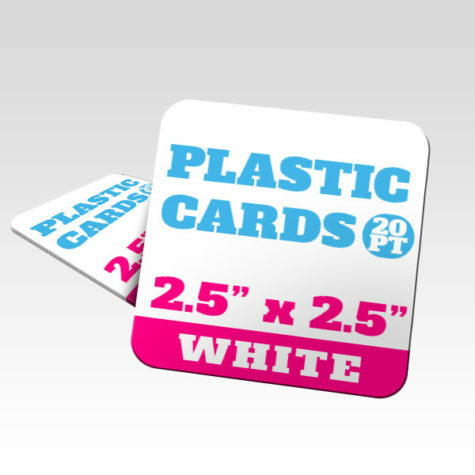 Resilient plastic allows cards to be used many times over, which is great as a promotional coupon. i.e. Give your customer a coupon and when they turn it in, you will be able to give it to another which will increase its return on asset value. Up to 8 business days. For rush production contact us.